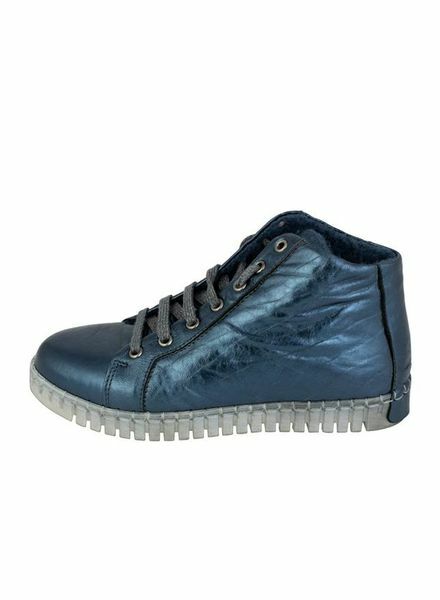 Andia Fora was born in 2013 from the perfect synthesis of quality and innovation, applied to a precious and exclusive "made in Tuscany" footwear craftsmanship. In 2014 the Florentine brand, which has its operational base in the Tuscan leather district, in the province of Pisa, with its strong factories of 50 years of experience that make use of the collaboration of workers specialized in the typical craftsmanship of footwear, makes their debut on the Italian and international scene with his first 100% leather collection. 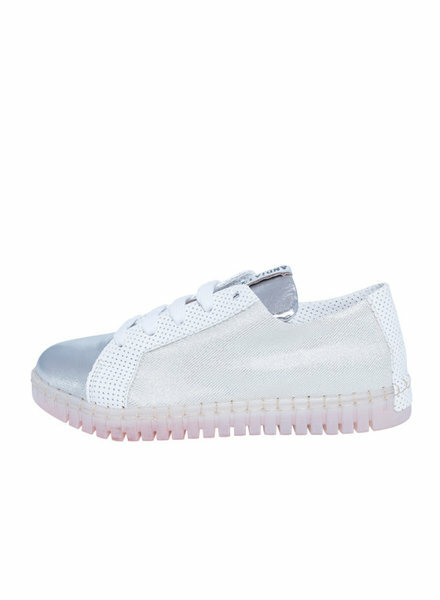 A low top sneaker with white metallic fabric body, white leather accents, silver leather cap toe, and a clear sole. 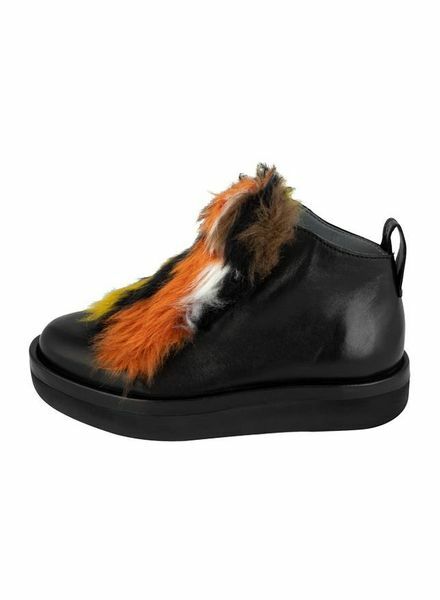 A slip-on sneaker with a multi-colored top. 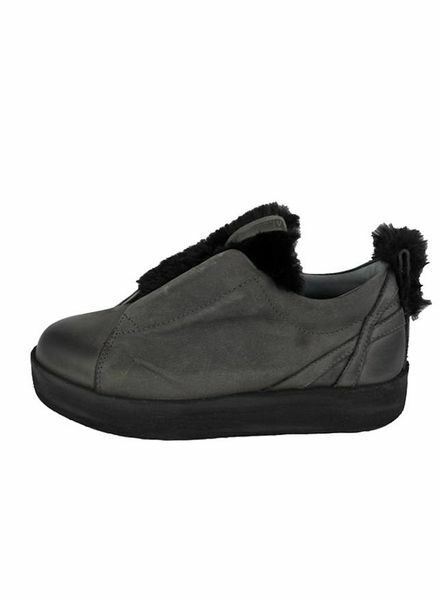 A high-top sneaker with a shearling interior, clear sole, and hidden wedge heel.